Our best deal for military and veteran families. Our military plan gives verterans, service members, and their families all the benefits of T-Mobile ONE at a specially discounted price. Our military plan gives veterans, service members, and their families all the benefits of T-Mobile ONE at a specially discounted price. Submit military verification within 45 days at my.t-mobile.com/profile; otherwise your plan will become T-Mobile ONE at an additional cost of up to $20/line per month. Military individual must be account holder & account must maintain valid military line. Limited time offer; subject to change. At participating locations. Credit approval, deposit, and $25 SIM starter kit or, in stores & on customer service calls, $20 upgrade support charge may be required. May not be combined with other promotions/discounts and features; existing customers who switch may lose certain benefits. U.S. roaming and on-network data allotments differ: includes 200MB U.S. roaming. Unlimited talk & text features for direct communications between 2 people; others (e.g., conference & chat lines, etc.) may cost extra. Unlimited high-speed data US only. In Canada/Mexico, up to 5GB high-speed data then unlimited at up to 128kbps. Not available for hotspots and some other data-first devices. Capable device required for some features. Video streams at up to 1.5Mbps. Optimization may affect speed of video downloads; does not apply to video uploads. For best performance, leave any video streaming applications at their default automatic resolution setting. Tethering at max 3G. Smartphone and tablet usage is prioritized over tethering usage, which may result in higher speeds for data used on smartphones and tablets. AutoPay Pricing for lines 1-8. Without AutoPay, $5 more/line. May not be reflected on 1st bill. Int’l Roaming: Not for extended international use; you must reside in the U.S. and primary usage must occur on our network. Device must register on our network before international use. Service may be terminated or restricted for excessive roaming. Usage may be taxed in some countries. Calls from Simple Global countries, including over Wi-Fi, are $.25/min. (no charge for Wi-Fi calls to US, Mexico and Canada). Standard speeds approx. 128Kbps without Plus; with Plus approx. 256 Kbps. Plus: Turn on HD daily. Video streams in native resolution which may not be HD. Gogo: on U.S.-based airlines; Wi-Fi Calling functionality, valid e911 address, & 1 prior Wi-Fi call w/ current SIM card required for messaging. Coverage not available in some areas; we are not responsible for our partners' networks. Network Management: Service may be slowed, suspended, terminated, or restricted for misuse, abnormal use, interference with our network or ability to provide quality service to other users, or significant roaming. On all T-Mobile plans, during congestion, the small fraction of customers using >50GB/month may notice reduced speeds until next bill cycle due to prioritization. For these customers, primary data usage must be on smartphone or tablet. See T‑Mobile.com/OpenInternet for data management details. Get a new phone and we’ll pay off your current phone and service contracts – up to $650 per line or $350 in early termination fees, via prepaid card and trade-in credit when you trade-in your device. Limited-time offer; subject to change. Eligible device trade-in, new device purchase, qualifying credit, port-in from eligible carriers, and qualifying service required. Payments consist of (1) credit for device trade-in applied to bill and (2) virtual prepaid MasterCard® Card in amount of carrier’s Early Termination Fee or remaining device balance, including lease purchase option if applicable, minus trade-in credit (expires in 12 months). Tax excluded. Submit proof of balance (limit $650 per individual) & 90+ days with carrier within 30 days of port-in and be active and in good standing when processed; allow 8 weeks. We might ask for more information. Up to 5 lines; must be activated in same market with same billing address. One offer per subscriber. T-Mobile Prepaid MasterCard Card is rebate/reimbursement or exchange on new device, service, or port-in; for any tax implications, consult a tax advisor. No money has been paid by you for the card. Cards issued by Sunrise Banks N.A., Member FDIC, pursuant to a license from Mastercard International Incorporated. Mastercard is a registered trademark of Mastercard International Incorporated. Physical (via mail) & virtual prepaid cards (via SMS) available; physical cards for use where MasterCard cards accepted; some limitations for virtual cards. Cards will not have cash access and can be used everywhere MasterCard debit cards are accepted. Use of this card constitutes acceptance of the terms and conditions stated in the Cardholder Agreement. How to verify your military status. First, activate your new T-Mobile ONE Military plan. Then, visit our military verification page to confirm your status before your first bill. You may be required to submit documentation showing your military affiliation. Submit military verification within 45 days at my.t-mobile.com/profile;otherwise your plan will become T-Mobile ONE at an additional cost of up to $20/line per month. Military individual must be account holder & account must maintain valid military line. We cover 99% of Americans with LTE. 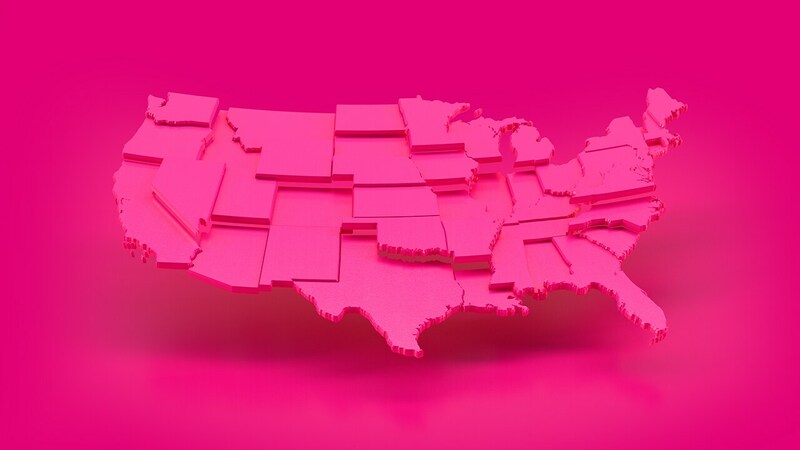 See coverage details at T-Mobile. Image does not depict coverage. Just stop by your closest T-Mobile store. After activating or switching to T-Mobile ONE Military, you’ll need to verify your military status. Ensure that the military person or Gold Star family member, is designated as the primary account holder. For active duty military members who are deployed, a spouse or family member can also verify eligibility. Go to the military verification page at my.t-mobile.com/profile. Log in by entering your T-Mobile Phone Number and Account PIN. Enter details into the required fields for the military member. If the name field does not show the military member's name and you cannot change it, you'll need to contact us to update the billing-responsible party's name on your account to get this offer. Select Verify and Continue. Note: T-Mobile for Business customers, excluding Individual Sole Proprietors, will be required to upload additional documentation to verify eligibility. The validation process typically happens in a few quick steps and takes less than 10 minutes. You will have 45 days from plan activation to verify your eligible military status or you will be moved to T-Mobile ONE with no military discount, which will result in a price increase of up to $20/line per month. In some cases, you may be asked to provide additional details to verify your eligibility (such as Business customers with account type "B"). If further information is required, you’ll be notified right away, and will need to upload documents confirming your military status to complete your verification. The information provided is used solely for validation of status and is destroyed after validation. A confirmation of your validation status will be sent to you via email within 48 hours. Note: Before uploading the document, please ensure first and last name, dates, and service/discharge status are legible, but please omit, cover up, or black out any sensitive information such as Social Security Number, Military ID Number, etc. Acceptable file formats are .bmp, .gif, .jpg, .png, or .pdf.